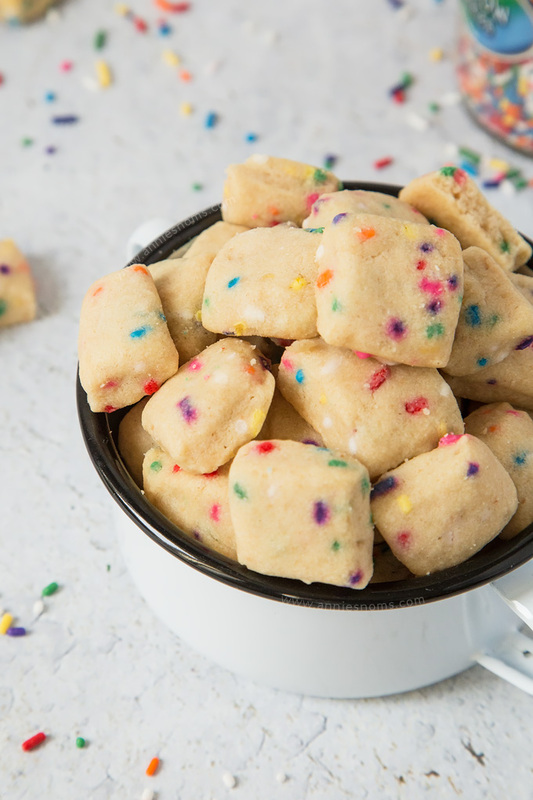 These adorable mini Funfetti Shortbread Bites are ridiculously easy to make and totally addictive. 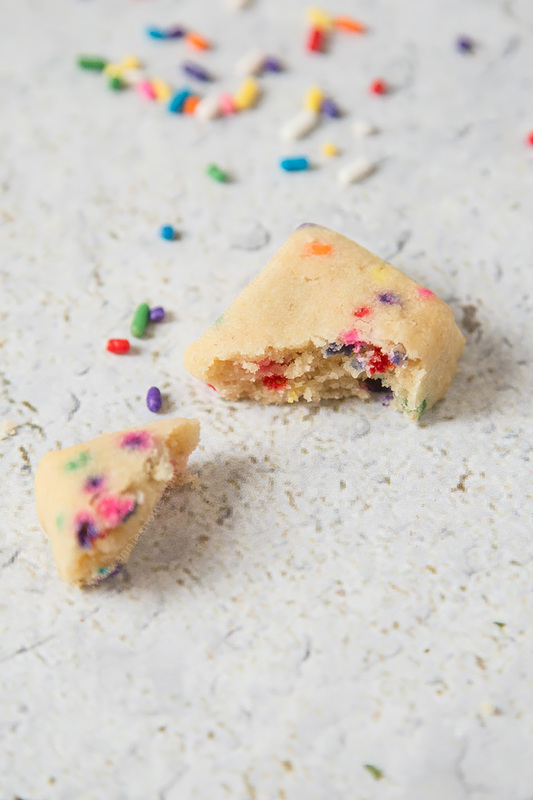 Crisp, buttery and filled with Funfetti, you’ll be forgiven for not wanting to share! Why, hello there. I am back after a lovely week off with Mr AN with these cute, little Funfetti Shortbread Bites. Because mini things are 100 times cuter than normal sized things. FACT. I was seriously craving shortbread the other day. Like an OMG-empty-all-the-cupboards-searching-for-shortbread-right-this-second type craving. So, I decided to make some because 1) I couldn’t find any and 2) homemade is actually better. 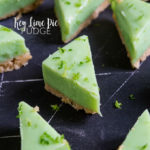 I always use icing sugar and 1tbsp of cornflour in my shortbread recipe as I find it creates this amazing, smooth, melt in your mouth texture which is just THE best. And then butter. Lots and lots and lots of butter. Before we continue with this super easy Funfetti Shortbread recipe, let’s talk about my week off. As always, we planned to do loads and ended up doing very little. I planned on doing some painting, finishing off the stairs which I started about 4 years ago and have only done one coat of undercoat on, but the thought of just chilling with my fiancé was too great a temptation. We did head into London which was nice. We went to YO! Sushi for the first time and I definitely approve. SO good! We used to have a sushi place by us, but then it went really quickly and I haven’t been able to enjoy those egg omelette ones for far too long. We also visited Chinatown and picked up some Chinese cakes. They do these long buns filled with shredded coconut called Cocktail buns and they are TO DIE FOR. I’m not lying when I say, we spent almost £30 on cakes!!! We bought BBQ pork buns, Bolo Bao (also called Pineapple buns), and about 8 cocktail buns because they are my favourite. And I don’t even normally like coconut…? The final thing we did, apart from lots of shopping because our local town is rubbish and I needed make up, was to go and get my engagement ring sized. FINALLY. It’s only taken a year; HA! I say sized; it is actually the right size to fit over my knuckles, but I have knobbly knuckles and I can’t physically fit a smaller ring over my knuckles, but it’s too loose further down my finger. Until last week, I used a plastic tube thing on the band, but that’s not a permanent solution and it wasn’t very comfortable, so we took it to an independent jeweller in Hatton Garden, to have some platinum beads soldered into the band. Anyway… that was my fun filled week. Other than that, we basically watched TV and read books. I’m seriously struggling to get back into work this week. I just don’t want to do anything. Even though I love being in the kitchen, I just feel kind of drained and feel like I could sleep for a month. Now, to make these Shortbread bites is SO easy. I mean, I didn’t even realise how easy they were until I made them. 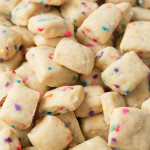 I just made my base shortbread recipe, with slightly more butter and a splash of milk to make the dough a bit more workable and then added in some Funfetti/sprinkles… Whatever you want to call them. I shaped the dough inside an 8×8 inch square pan and then used a pizza cutter to slice them into about 50 bite size pieces. Pop them in the oven for 12-17 minutes (depending on how big you make them) and then DEVOUR THEM ALL. No word of a lie, I think I ate 20 of these while taking photos yesterday. Totally addictive and more-ish. But, they’re mini, which = no guilt… am I right? So, go and make these, then run and hide away with them because they are far too good to share! 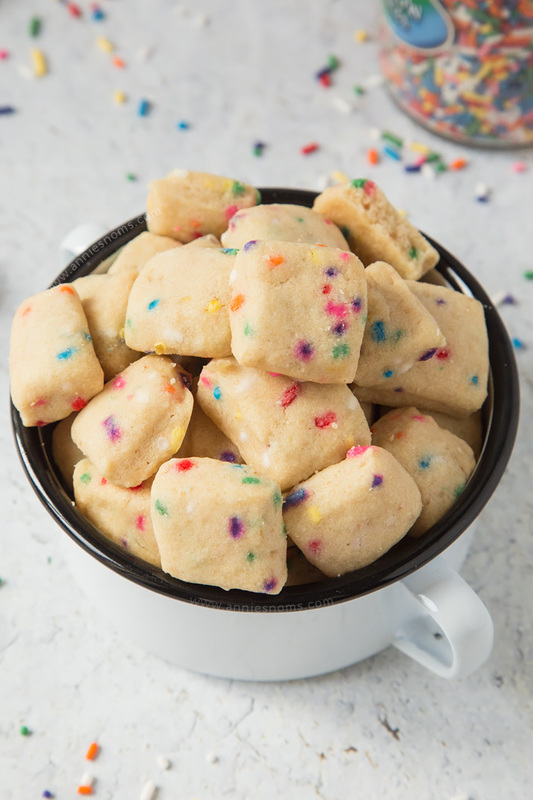 These adorable mini Funfetti Shortbread Bites are ridiculously easy to make and totally addictive. Crisp, buttery and filled with Funfetti, you'll be forgiven for not wanting to share! Place a piece of grease proof paper into an 8x8 inch square pan and leave to one side. 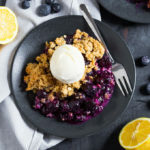 Place butter, flours, sugar, salt and vanilla into a large bowl, or the bowl of your stand mixer and beat on medium-high speed until you have a crumbly mixture which is just starting to come together. The butter will be pea sized, although some larger lumps are fine. Add in the Funfetti and 1tbsp of milk, then mix until well combined. Add in another 1tbsp of milk and then mix until a soft dough forms. Tip the dough into your lined pan and press into a level layer. Use your hands or the base of a glass/cup. Place in the fridge for 10-15 minutes. Whilst chilling, preheat the oven to 160C/325F and line 2 baking trays. Once chilled, lift out the dough from the square pan and place on a cutting board. Either with a knife, or pizza cutter (I used a pizza cutter), slice into bite size pieces. My pieces were around 1/2 an inch-3/4 inch thick. I made around 64 bites. You can make them however big or small you want. Separate all the shortbread bites and then place them onto your lined trays, leaving a little gap between each one. Place in the oven for 12-17 minutes (depending on how big they are) until they look matte when the light from the oven hits them. If they look a little dark/soggy in the light, they're are not done. You don't want them to be golden or coloured in anyway, just slightly firm to the touch and matte. Leave to cool on the trays completely, before transferring to an airtight container. 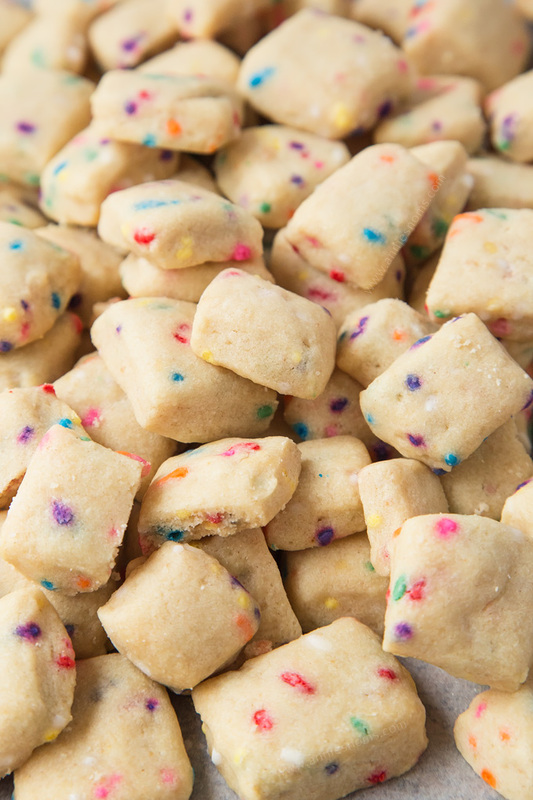 Funfetti Shortbread Bites will keep at room temperature for 5 days. I recently made my first shortbread recipe and loved it. Your inclusion of the funfetti makes it both tasty and really exiting to look at. I loveeee shortbread too! My fiancé can’t stand it because he says it is too dry. He is crazy! However, this recipe might turn him because he absolutely loves all things funfetti so I’m going to have to make these for him! 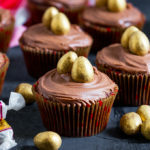 These bite size treats look so cute and yummy for children! I will be making these real soon. The kids would love these simple because you added the little sprinkles to them. Sounds like quite a week! 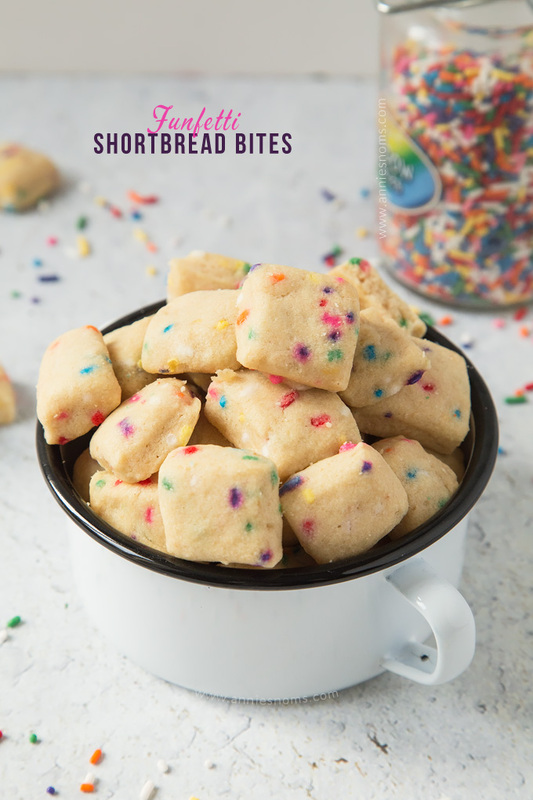 These shortbread bites are so fun! I could see me snacking on these all day! Shortbread is good no matter how it is made. I could eat these all year long. There is something about sprinkles that just TURNS ME ON! I loooove shortbread. Really miss the stuff I got in England during the years I lived there. 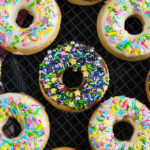 These look so fun with the sprinkles, my kids would love them! Those coconut buns sound like the ones in Scotland! I need to make some now that you’ve reminded me! I love them so much and ADORE coconut! These cute little nibbles of shortbread look like they’d be devoured by little ones at a party! So adorable! Sounds like a good relaxing week even if you didn’t get as much done as you wanted! These look so colorful and fun and yes totally agree miniature things are so much more adorable and fun than regular sized ones! These seem that they would be so additcing. Perfect for a party too! I wish I’d found your recipe first! 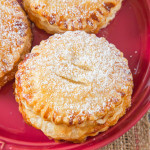 I just tried a recipe for these from another site, and it was a flop. The first time the dough wouldn’t come together. I was afraid of overworking the dough and making the cookies tough/hard, so I must not have kneaded it long enough. The dough crumbled to dust when I tried to slice them after chilling. The second batch I intentionally left out a small portion of the flour and sugar (seemed to call for too much sugar anyway), so the dough would come together better. Once it did, it was incredibly stiff. I pressed it into a pan anyway. It chilled and sliced nicely and it kept its shape. But the end result the cookies were like little rocks – a very hard, unpleasant texture. 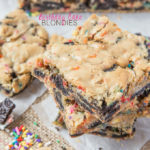 I just finished a double batch of these and they turned out AMAZING! I like my shortbread very tender and slightly dry, so I substituted 1/4 of a cup of the flour with cake flour, and added an extra tablespoon of corn flour. I also used half and half instead of milk, and only drop by drop until the dough came together. The bites are like little tastes of heaven. They almost melt in your mouth. So glad I found this recipe! Thank you so much! Will putting it in the freezer soled up the process? They only need to chill for 10 minutes before baking, so there’s a risk they could become too hard in the freezer. You can try freezing them for 5 minutes and then baking, that should be fine, any longer and I don’t think they’d bake perfectly.